Sparrow SMS is leading Telecom VAS provider serving for more than 8 years of excellence with best bulk SMS in Nepal to more than 2000 clients. We have been serving diverse business enterprises with a reliable, affordable and easiest bulk SMS and SMS gateway services all over Nepal. 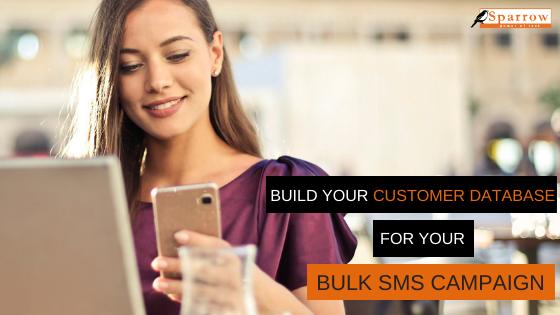 Bulk text messaging has evolved into a dominant marketing tool for businesses and people to endorse their products or services. Sparrow SMS provides you the flexibility to facilitate SMS from anywhere at any time in just a few clicks. Our web-based application allows sending SMS easily and effectively with the low-priced rates in the market. #Step 1: Get started by clicking Signup, then you fill in your Email Address, Name, Phone number, Password, and Module. #Step 2: Check Your Email Inbox for a Welcome Mail from Sparrow SMS. Or check Junk or spam folder. You will get a username and password in the mail. That you can use to sign up. You can use the 10 free SMS to test the platform. #Step 3: Click web.sparrowsms.com to log-in. Download Sparrow Bulk SMS APP to send bulk SMS directly to your phone contacts. #Step 4: Once you have sent a trial SMS, you can now commercialize your account. You will be charged a certain amount for Web Panel and SMS credits. For your convenience, you can pay your bill via Khalti Digital Wallet or bank transfer. #Step 6: After using any option above to recharge, you have to send the proof of deposit to marketing@janakitech.com. Our officer will confirm the payment and proceed further for agreement. #Step 7: An SMS alert will be sent from Sparrow SMS that you have been credited with the number of units, once the payment has been approved. Your SMS units won’t expire. Explore our system for Free and get 10 free credits! Click Here! Or, call/WhatsApp our SMS experts today, 9802005007/8.